No entry way should be without this decorative mirror and coat rack. Hang up to four or five coats and or hats. We use Baldwin solid brass hardware. 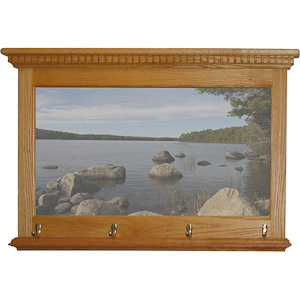 A dentil molding top plate brings a classic old world look to the Biddeford. Hanging hardware is provided to securely fasten the Biddeford to the wall.